Rediff.com » News » Does India need to be invaded by China to wake up? Very few in India have heard of Taksing. It is the last village on the Tibet (China)-Arunachal Pradesh border, and the first village likely to be invaded if Beijing retaliates. 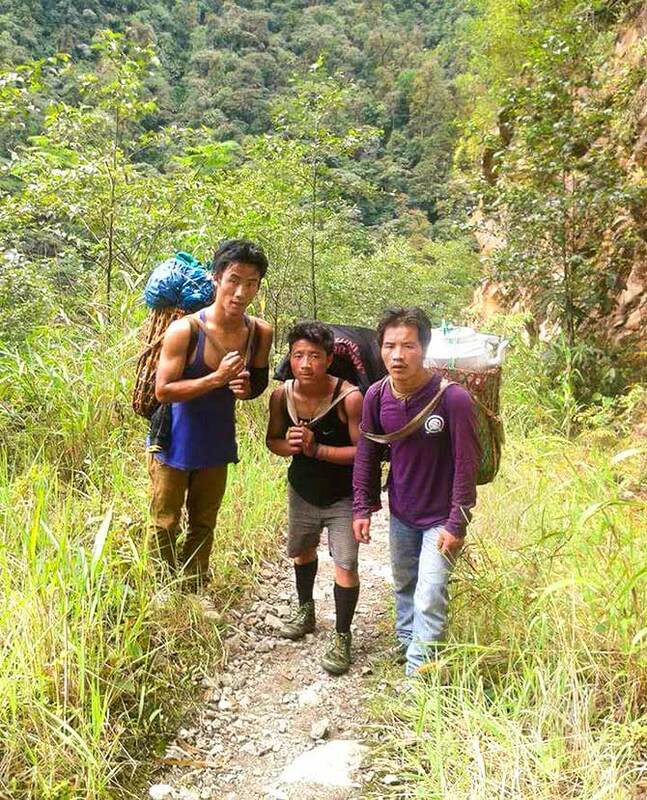 Scarily, it takes jawans THREE days of walking to reach Taksing. In all the noise surrounding the Doklam confrontation, Claude Arpi focuses on a crucial issue that has hardly been covered -- the construction of roads for the armed forces and the local population to reach the most remote border posts. Exclusive: What provoked the 1962 India-China War? 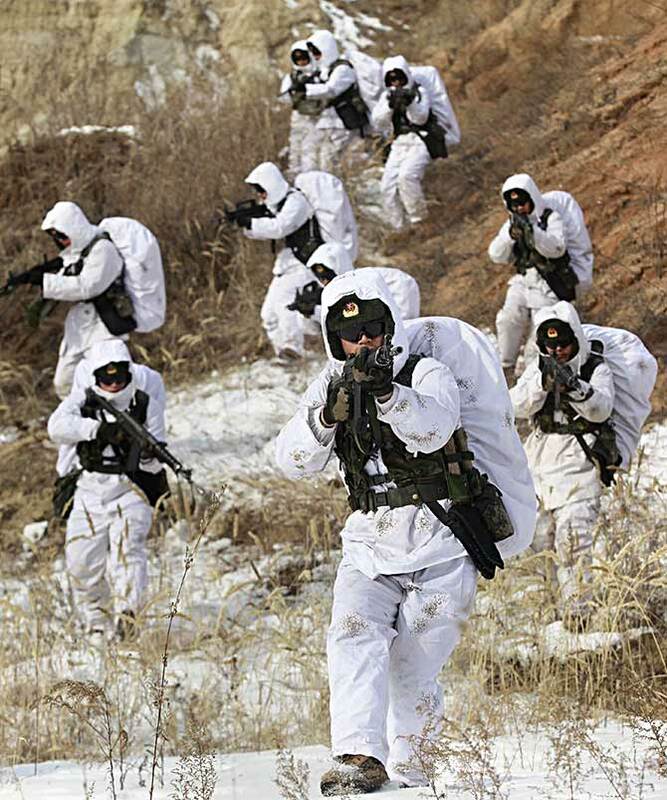 IMAGE: Soldiers from China's People's Liberation Army. Beijing has a tendency to believe in the principle that it is better to first take 'possession' and then start talking. Very few incidents have triggered so many comments as the confrontation at the tri-junction between Tibet, Bhutan and Sikkim. On June 16, 2017, Chinese troops entered a stretch of land at the southern tip of the Chumbi Valley to build a road on Bhutanese territory. They were stopped by the Indian Army. Beijing's response was sharp, probably due to the surprise; China did not expect Delhi to militarily defend Thimphu. The tri-junction is a strategic hotspot for Delhi, and by occupying it, the Chinese would have a 'view' not only of the Chumbi Valley, but also the Siliguri corridor, which is India's main strategic weakness in case of a military conflict. Probably getting upset with the delay in finding a solution, Beijing decided to take the matter in its own hands, as it had done earlier in the South China Sea. IMAGE: On April 6, 2017, the Border Roads Organisation opened a new section connecting Tame Chung Chung and Nacho. The road was to be opened in 2009. The last Indian military outpost before the border is still some 35 km away from the newly opened section. In all of this, one issue -- though crucial for the defence of the borders -- has hardly been covered by the Indian media: It is the construction of a decent infrastructure for the Indo-Tibet Border Police Force (ITBP), army and the local population to reach the most remote border posts. On July 18, it was announced in Parliament that some 73 roads were being built along the Sino-India border. The minister said 30 roads had been completed so far though all the roads had been scheduled to be completed by 2012-2013. According to the government, the main reasons for the delay were: Limited working season, logistical issues due to high altitude, rugged and difficult terrain, natural calamities, delay in land acquisition and forest/wildlife clearances. The last justification was surprising as the Narendra D Modi government had decided in 2014 to do away with the environmental clearance for road projects located within 100 km of the Line of Actual Control (LAC) between India and China. This raises another issue: Why can't the private sector be involved, especially at a time when the Modi Sarkar is trying its best to invite private players into the defence sector? < class="rbig"p>Very few in India have heard of Taksing. It is the last village on the border with Tibet (China) in Upper Subansiri of Arunachal Pradesh. It is certainly the first village susceptible to be invaded in case the People's Liberation Army decides to retaliate after the confrontation in Sikkim. Here the villagers believe that it will take at least five to 10 years to see a road. It is not that nothing is happening. On April 6, 2017, the Border Roads Organisation managed to open a new section connecting Tame Chung Chung and Nacho. The inhabitants living in the vicinity of Tame Chung Chung (locally known as 'The Land of Snakes') had dreamed of seeing this road for decades, but like many other things for the border population, it had remained a dream. In fact, the road was to be opened in 2009. The PLA's 'heightened activity' had been witnessed in Asaphila area for months. 'The PLA troops, with vehicles and other equipment, then tried to build a road till Point 2445. They were then stopped from doing so by our soldiers,' a source told the newspaper. At that time, some local villagers had managed to shoot a short video on their phones of the PLA 'visiting' their village. The last Indian military outpost before the border is still some 35 km away from the newly-opened section, but the construction will hopefully be easier: 'Due to the exceptionally hard rock and treacherous terrain, this portion of the road took many more years than expected,' said the BRO statement. 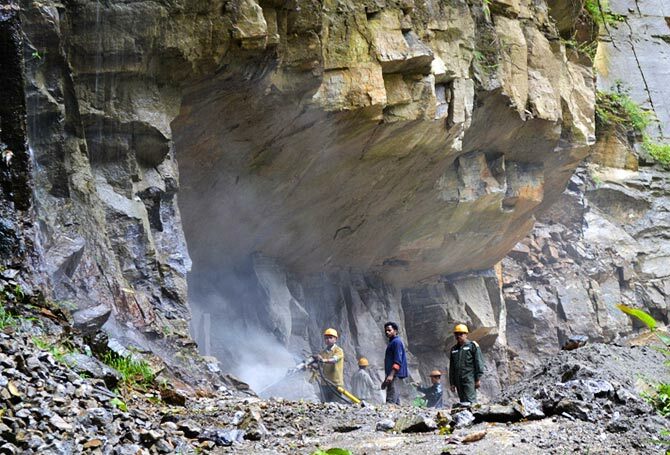 The army organisation admitted that a large number of personnel suffered severe injuries during the construction work and equipment worth crores of rupees was lost in landslides. The question remains: Have the central and Arunachal authorities finally decided to undertake the construction of roads in border areas on a 'war footing'? It is not sure. The work is frighteningly slow. 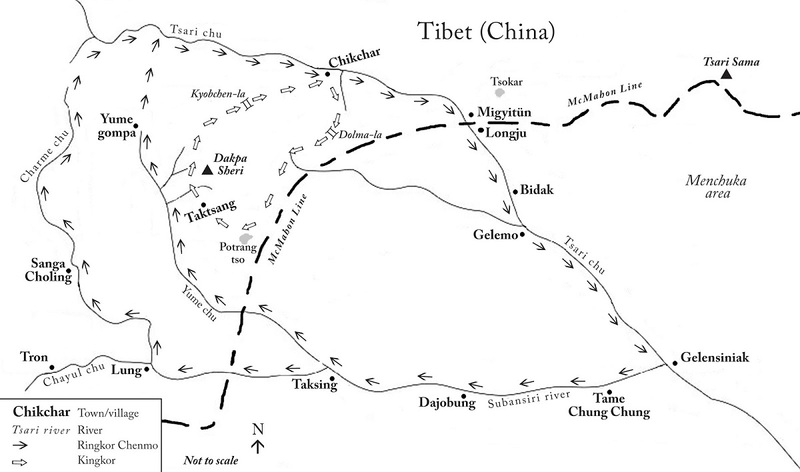 IMAGE: The urgency and importance of constructing roads from Daporijo to the border settlements of Lower Na (Taksing) and Migytun (Maja) was emphasised as early as 1957. Already in the 1950s, there was a crying need for a road. Of course, for 60 years, babus from the MHA or the state government have never set a foot in these areas. Unfortunately, not much has been done during the following 50 years -- a real tragedy for the defence of India and the border populations. A few months ago, I received a message from Hiwak Chader, who lives in Taksing; he explained the difficult situation for the local population. He does not mention the hardship of the CRPF jawans and the army who have to man the frontier. 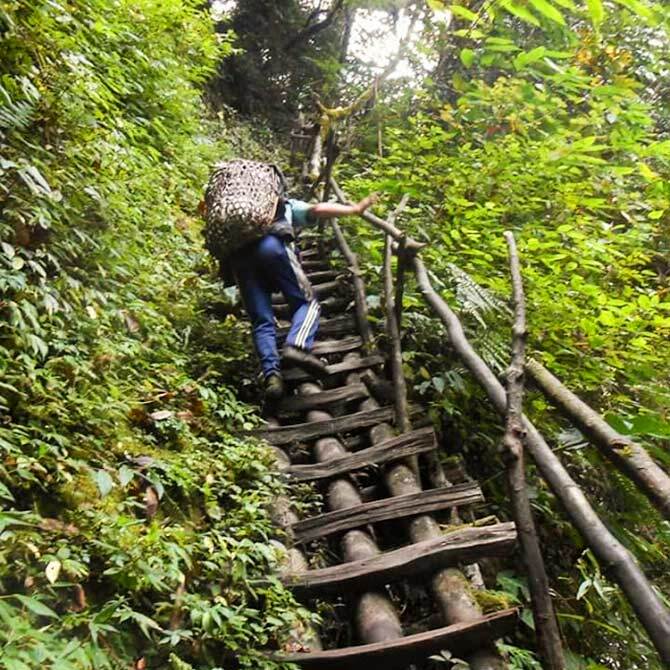 Though there is a helipad for emergencies, it takes some three days for a jawan to walk from Tame Chung Chung to Taksing (while a local porter can make it in two days). 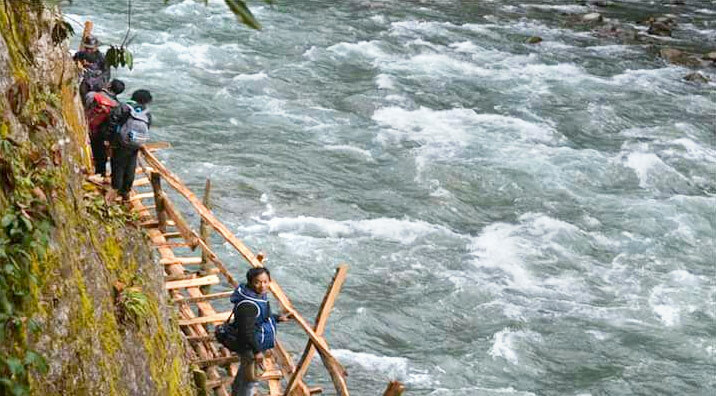 It is extremely doubtful that Taksing will see a road in the next 5 years; let us hope that it won't be too late. It is not that there is no solution. One would be to involve the private sector, or even 'friendly' foreign countries like Japan in the road construction. Also, the BRO or any other contractor should give better salaries to the local workers to insure continuity in the laying of the road. More camps for road workers could be created en route between Tame Chung Chung and Taksing, etc. But the main issue remains: Is there the will to reach the frontier at any cost? Does India need to be invaded to wake up?